Can you tell me where in Scotland I have sketched today? If so click the link below to email me your answer. I will pick a random winner from all correct answers on Tuesday morning, and they will go on to the ‘Winners wall’. At the end of the month those on the wall will be entered into a draw to receive a prize. 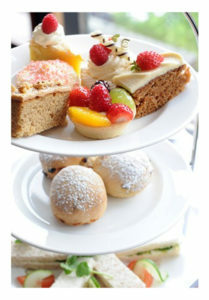 The prize for November is Afternoon Tea for two in the Mercure Hotel on Princes Street during Decemeber, overlooking the wonderful Christmas festivities in Edinburgh city centre. Enjoy a perfect selection of culinery delights during your Christmas shopping this year at the ideally situated Mercure Hotel on Edinburgh’s Princes Street. Enter via the link above or email contact@edinburghsketcher.com with the subject line ‘WhereArtI 7th November 2016’. 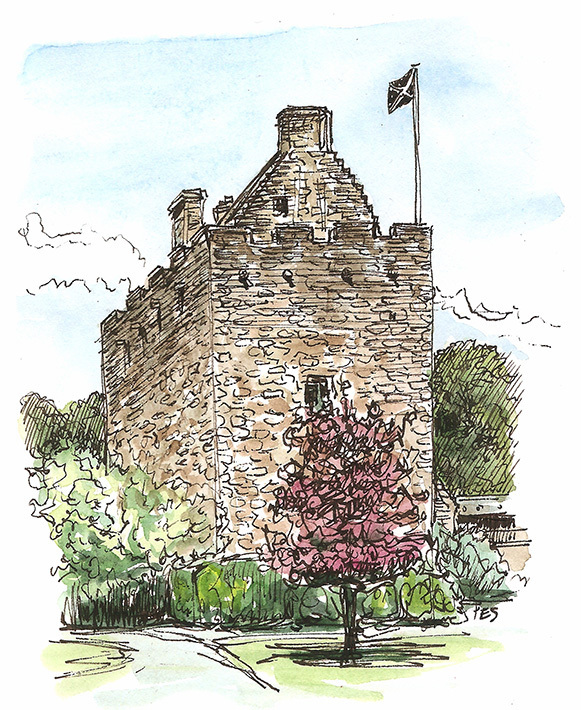 WhereArtI Update November 7th – Dean Castle. Well done Natalie Zindani who was picked from this week’s correct entries to go into the monthly draw. Be sure to play next Monday for another chance to win.